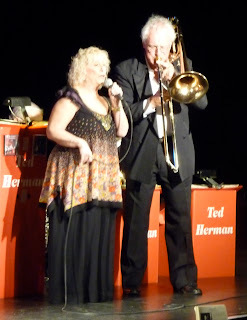 On Sunday February 26th I went over to the Indio Performing Arts Center to see "The Ted Herman Orchestra". I had learned that "The Ted Herman Band" has a weekly gig every Sunday evening at the Arts Center and that my good friend, Beverly Jensen, was singing this evening. By chance, I happened to sit next to Ronald Hagan and soon learned that he was a member of the IPAC Board of Directors and he filled me in as to what the Indio Performing Arts Center is all about. The music and dance program at the IPAC is not advertised much and those who know about it most likely discovered it from word of mouth. Here is the deal, every Sunday at 6:15 PM, the program starts with a dance lesson taught by Carl Davis. 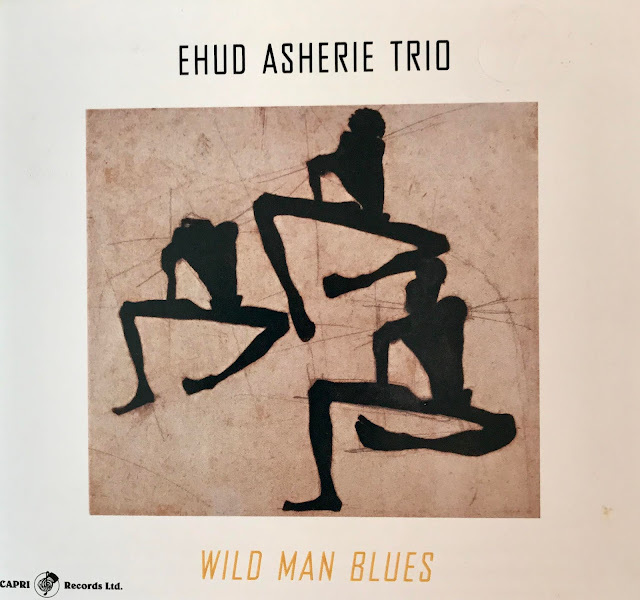 Then at starting at 7:00 PM until 9PM, the 17-piece Ted Herman Orchestra takes over and plays some great "big band" standard classics from charts that Ted Herman has put together over the years. All all this great music and dancing will cost you $10.00. There were about 120 people that came to participate in tonight's program and I do mean participate. Everyone danced and the dance floor was large enough for everyone to show off their dancing moves. Even when the band took it's breaks, the floor was still full of dancer, dancing to pre-recorded music. I am pretty sure that at lot of my Desert followers are learning about the IPAC from this blog and that's a good thing. There are very few places in the country where you can go to dance to live music by an 17-piece live band, never mind for $10.00. I know I will be going back especially to see two of my favorite singers that are usually featured with this band, Larry Capeloto and Lee Hartley. I heard the Ted Herman band last winter when they were playing in Palm Springs at Dinks but the sound tonight in this big dance hall compared to the small space they were in at Dinks was so much better in opinion. They sounded as good as any big band I have heard and being able to dance on such big dance floor with the band elevated on a full stage made the experience just about perfect. My good friend, Beverly Jensen was featured with the band tonight and she came to sing and take no prisoners. She opened with the great standard, "Lullaby of Broadway" and continued with several other standard classics including a great rendition and arrangement of "Come Rain or Come Shine". Beverly has a great resume' that includes touring with the Tommy Dorsey Orchestra directed by Trombonist Murray McEachern. She recorded her first and very successful CD "Ken and Beverly, Watch What Happens" in 1966. Over the years, Beverly has sang with many musical greats, like Cal Tjader, Ted Herman, Bob Hardaway, Ray Sherman, Buddy Childers, Joe Pass, Jeff Hamilton, John Clayton and her husband, John Leys. The vocal arrangements for Beverly tonight were just outstanding and I found out later that Beverly's husband, John Leys did all the arranging. Beverly has a pure strong voice that never fails to amaze me. Make sure that the next time you feel like going out to dance, that you make it over to the IPAC. By the way, I did see that there were two large tables that were set up for singles and I saw most of these guests dancing most of the time also! Believe or not this program has been running for 5 years and "The Ted Herman Orchestra" has been playing here on Sunday for the last two years. If you want to hear this band this season, make plans to go before the end of March as the program will stop. It will begin again in November. Thanks for all the great comments. 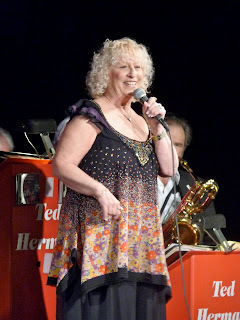 Singing with Ted's Big Band is a thrill having all thoughs great players behind you to enhance my talents and makes me really smile. Thanks for the great review. Your friend forever, Beverly Jensen.